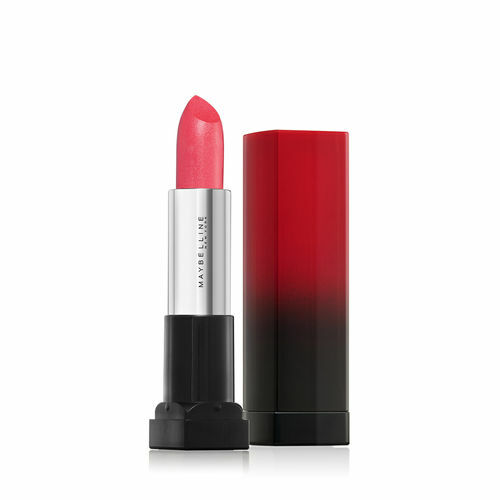 Maybelline New York Color Sensational Reds on Fire Lipstick is a limited edition of 5 collectible red lipsticks. It is a collection of 5 statement red lip colors with 5 different finishes perfect for Valentine’s season. The packaging has been specially designed keeping in line with the theme of Valentines. Need any more convincing with investing in this lovestruck collectible lip edition? Head on to know why our BB editors gave this a straight double thumbs-up: MAYBELLINE REDS ON FIRE FOR THE BIG V-DAY KISS? YASS! From a small, family-owned business to the number one cosmetics company in America today, Maybelline New York takes trends from the catwalk to the sidewalk, empowering women to make a statement, explore new looks, and flaunt their own creativity and individuality. Inspired by confident, accomplished women, Maybelline gives you scientifically-advanced formulas, revolutionary textures and up-to-the-minute, trendsetting shades effortlessly, affordably, beautifully. Explore the entire range of Lipstick available on Nykaa. Shop more Maybelline New York products here.You can browse through the complete world of Maybelline New York Lipstick .Alternatively, you can also find many more products from the Maybelline New York Color Sensational Reds On Fire Lipstick range.